I might be a little bit early with the red, white & blue theme, since the 4th of July is still weeks away, but I love the 3 colors together. I made a birthday cake for my little brother (and secretly my favorite, shhhh, don't tell my other brothers!). Homage to our dual nationalties: Dutch & American, I made the cake a little bit patriotic. Red, white & blue is the Dutch flag, but also represent the U.S. of course. 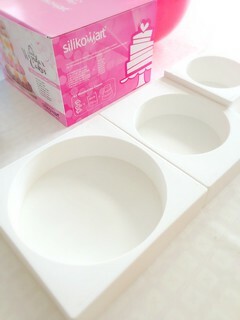 I used a Silikomart 3-tier cake mold. I think it's actually meant for wedding cakes, but birthdays are more frequent, and thus, it's an excuse to make a 3-tier cake more often. The silicone pans worked really well. Although the cake looks humongous, it actually only required 1 cake recipe. 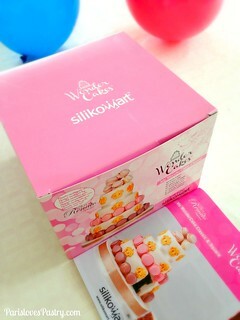 The silikomart 3-tier cake mold is a really good tool for making a cake special. I'll definitely be using it more often. Next time, I'm making the 3-tier cake a bit more sophisticated. I have a flower cake in mind... Bring on the icing! Rating: 5 out of 5. 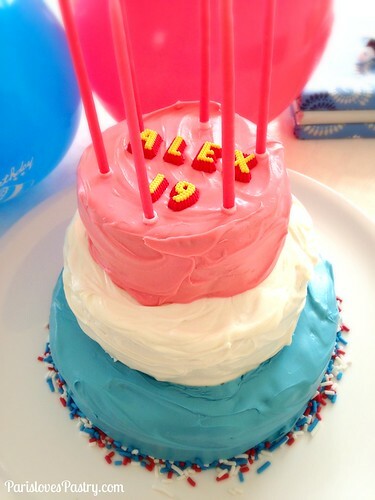 You can use any cake recipe you like, I used a vanilla cake recipe by Magnolia Bakery and added red and blue food coloring to the batter, and trimmed the top before icing it. 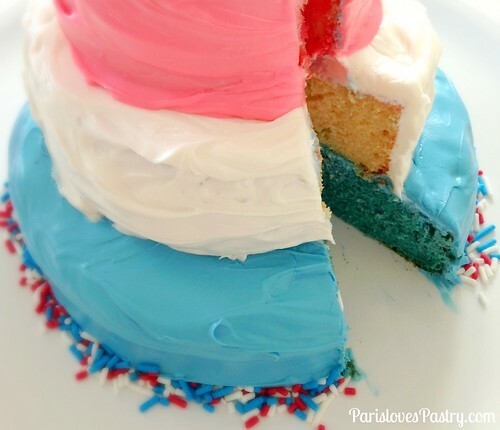 And to make the cake extra kitsch... red, white & blue on the inside as well! So pretty! :) I still have no idea what I plan to make for the 4th of July... I need to get a move on with that. He must have been delighted with it!